Most of the topics in the clinical rotation courses which include hands on clinical and didactic training are covered at the participating hub and spoke clinics which include the Genesis Healthcare Partners (hub), the Naval Medical Center (spoke), and Sharp Grossmont Hospital (spoke). 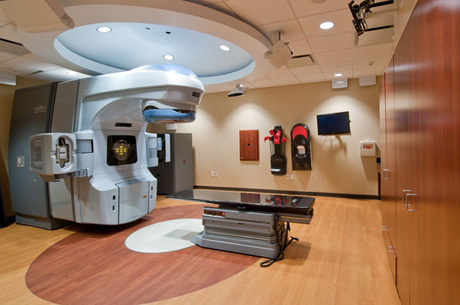 These clinics offer state of the art radiation oncology treatment technologies and techniques including external beam radiotherapy/radiosurgery (with IMRT/VMAT, TomoTherapy, and CyberKnife, radioactive seed implant, high dose rate (HDR) brachytherapy. 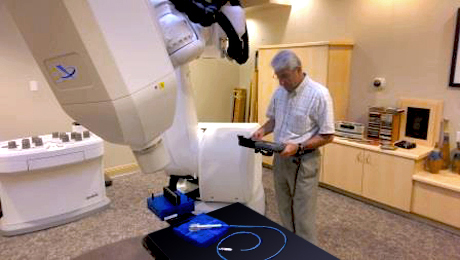 Space and equipment necessary for the resident to do their work.